ALAAAAAARM GOES OFF AT 7! And then the plant tries to kill you. Rough day, man. 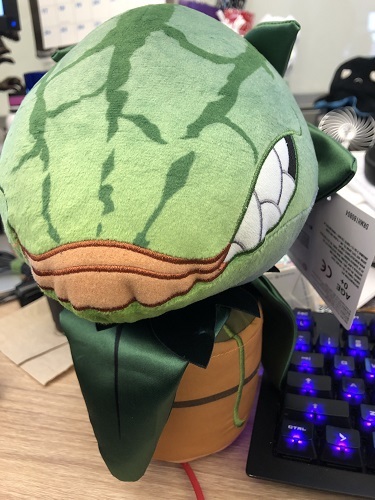 You will receive one plush reproduction of Audrey II (famously voiced by Levi Stubbs in the film) from Little Shop of Horrors. Perfect for all your cosplay and coworker freakout needs. Just keep it away from the blood bank.